That men who claim to be desirous of social revolution often fail to see beyond there own personal “male-centred and sexist” experience is perhaps today no longer surprising. The critique of this debility however took time to develop in anti-capitalist movements, including among anarchists. If Voltairine de Cleyre was among the earliest in the tradition to see the limits of the “male anarchist”, spain’s Mujeres Libres confronted the issue directly, though not always successfully, as Martha A. Ackelsberg‘s work on the organisation teaches us. In an article by Lucia Sanchez Saornil (posted at libcom.org and presented below), one of the co-founders of Mujeres Libres, we are offered direct testimony of the sexist attitudes of men in the Spanish anarchist movement and of the need for any radical anti-capitalist movement to address directly and uniquely the issue of patriarchy. Lucia Sanchez Saornil (1895-1970) was a Spanish poet, writer and anarchist feminist. She was active in the CNT but critical of the sexist attitudes of many male Spanish anarchists. 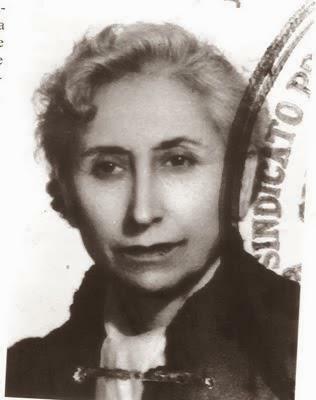 She helped found the anarchist feminist group, Mujeres Libres, in April 1936, a confederal organization of Spanish anarchist women that played an important role in the Spanish Revolution and Civil War (1936-1939). The following excerpts are taken from her article, “The Woman Question in Our Ranks,” originally published in the CNT paper, Solidaridad Obrera, September-October 1935 (reprinted in “Mujeres Libres” España, 1936-1939, Barcelona: Tusquets, 1976, ed. Mary Nash). The translation is by Paul Sharkey. Introductory note by Robert Graham, and this text taken from Volume One of Anarchism: A Documentary History of Libertarian Ideas, From Anarchy to Anarchism (300CE-1939). …He was complaining about something that was, as far as I could see, the main grounds for satisfaction: That women had broken with the tradition that had them as men’s dependents and stepped out into the labour market in search of economic independence. This pained him and delighted me because I knew that contact with the street and with social activity would provide a stimulus that in the end would activate her consciousness of her individuality. As far as the theory of differentiation is concerned, woman is nothing more than a tyrannical uterus whose dark influences reach even into the deepest recesses of the brain; woman’s whole psychic life is obedient to a biological process and that biological process is quite simply the process of gestation… Science has tinkered with the terms without tampering with the essence of that axiom: “Birth, gestation and death.” The whole and all of the womanly prospect.